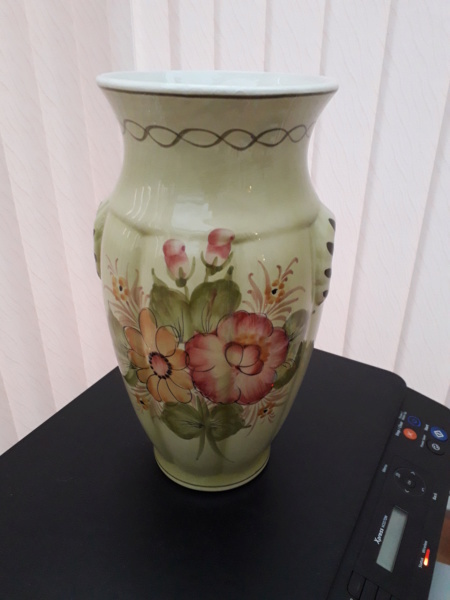 Whilst sorting out our Garage I came across a Vase. 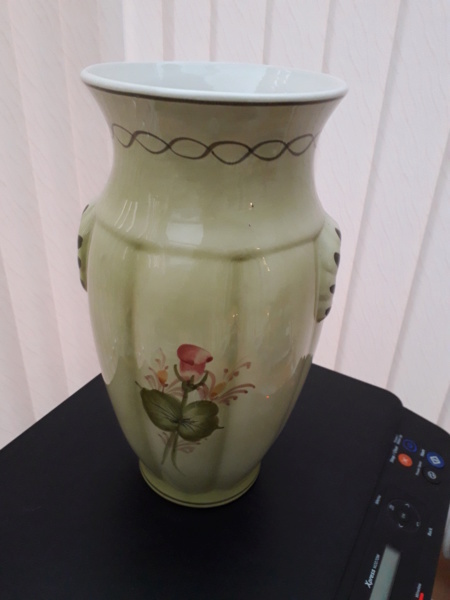 Just about to throw it out when Wife says "I love that vase" After 16 years in the garage I have my doubts So, two pictures of the bottom of the vase later and a bit of research I have no idea where it came from. Now, throw or keep?? Pictures attached of the base - any help would be appreciated. 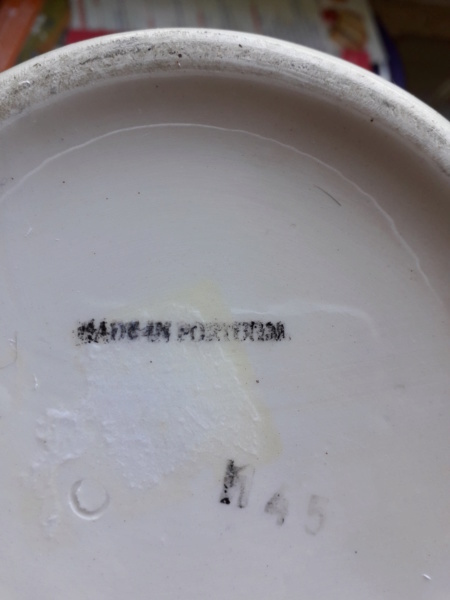 No picture of vase yet, as I felt Labels and Marks would be the best place ask? The black printed backstamp says "Made in Portugal". 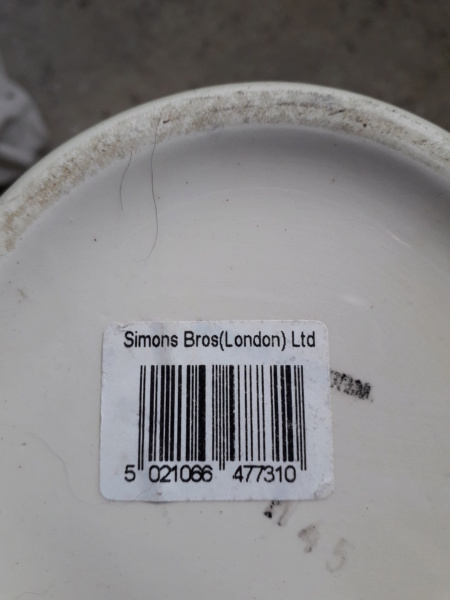 Simons Bros Ltd London are an importer company based in Southgate, London. Many Thanks for that, they were easy to find but, went out of business about 50 years ago. Elkan Simons - Joint Managing Director of that Company - received a CBE in the 1968 Birthday Honours List for Services to Export. Could make the Vase 50+ years old? You can post your reply here rather than by PM. Best to keep all the info together for reference.